A 23-year-old student, Olamide Olakunlade, appeared before an Ikeja Chief Magistrates’ Court on Monday for allegedly forging the letterhead of Ikeja Local Government for indigeneship documentation. The defedant is facing two counts of conspiracy and forgery to which he pleaded not guilty. 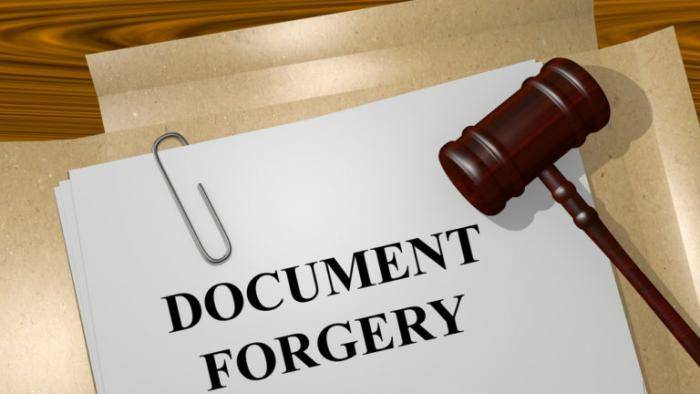 Forgery attracts three years imprisonment, while conspiracy attracts a penalty of two years if convicted. The Chief Magistrate, Mrs T.A. Ojo, admitted the defendant to bail in the sum of N100, 000 with two sureties in like sum, and the sureties must be gainfully employed with evidence of two years tax payment to the Lagos State Government and have their addresses verified by the court.